Are You After A Modern & Equisite Bathroom Renovation For Your Home? T&B Bathroom Builders are renowned for completing luxury bathroom renovations for a range of Brisbane based clients. We consistently deliver newly renovated bathrooms on time and to a high standard. 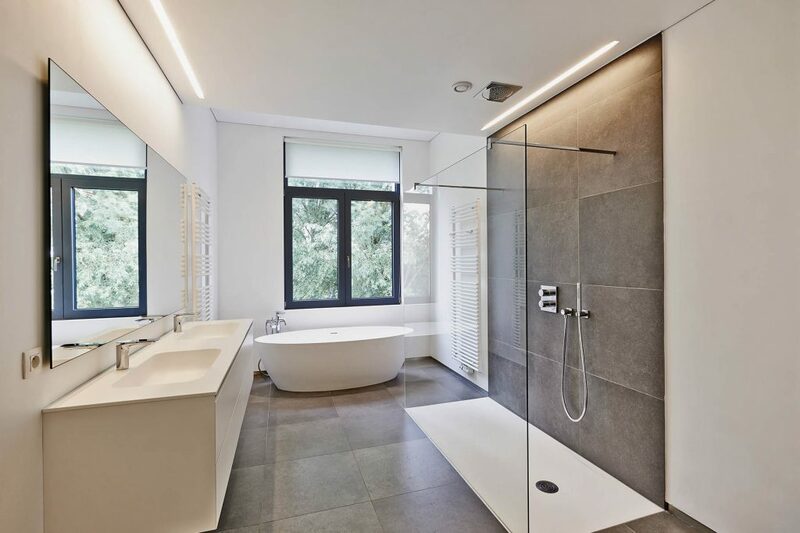 We keep up with cutting edge modern bathroom designs and have completed a number of luxury bathrooms in suburbs from Toowong, Ascot & Red Hill over to Ashgrove, Paddington and Graceville to name just a few. At T&B Builders our focus is to deliver highly functional bathrooms that work well in terms of both design & practicality, whilst flowing well with the rest of the rooms in your house home. We will maximise space where possible whilst always keeping your immediate needs and style at the forefront of the bathroom renovation. We are more than happy to provide advice and a quote for a modern bathroom that will elevate your home to the next level. We can provide client testimonials from happy bathroom renovation clients right here in Brisbane, feel free to give our team a call to discuss or send a message to our team.